A drop-dead gorgeous black Gothic dress featuring a classic keyhole neckline with hook and eye fastenings. 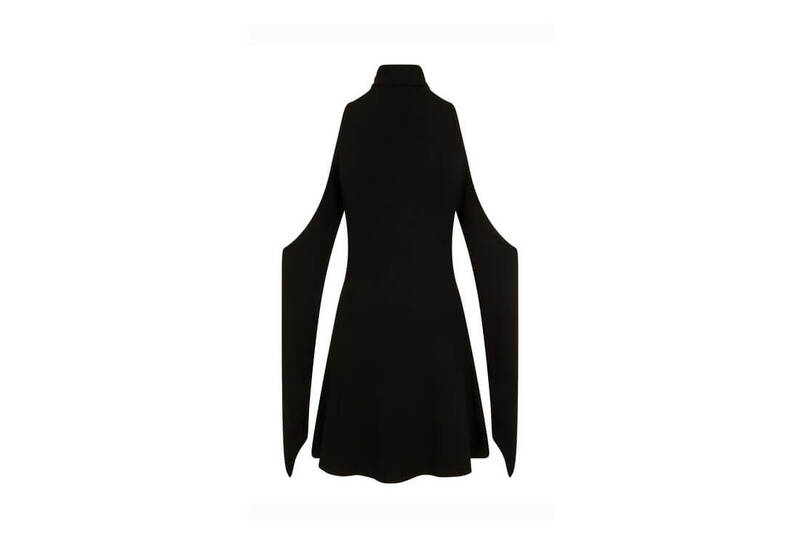 The Daena dress is made from super soft jersey and is quite stretchy. The waist flares out for a flattering fit and the shoulder is an off the shoulder cut. Gorgeous Gothic black dress from Necessary Evil! The beautiful Daena dress features the NE classic keyhole neckline, with hook and eye fastenings, as well as an awesome off the shoulder cut. Made from a super soft jersey this dress is quite stretchy and flares out from the waist for a flattering fit. Measures approximately 34" from neckline to hem.